Scottsdale’s ULTIMATE BLOCK PARTY with FRANKIE BALLARD!! 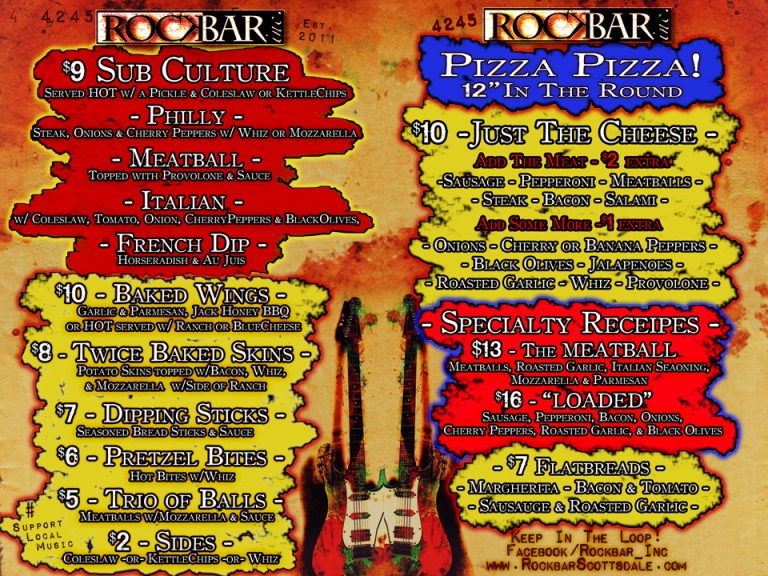 You are cordially invited to rock with us from 7pm-2am New Year’s Eve Night! 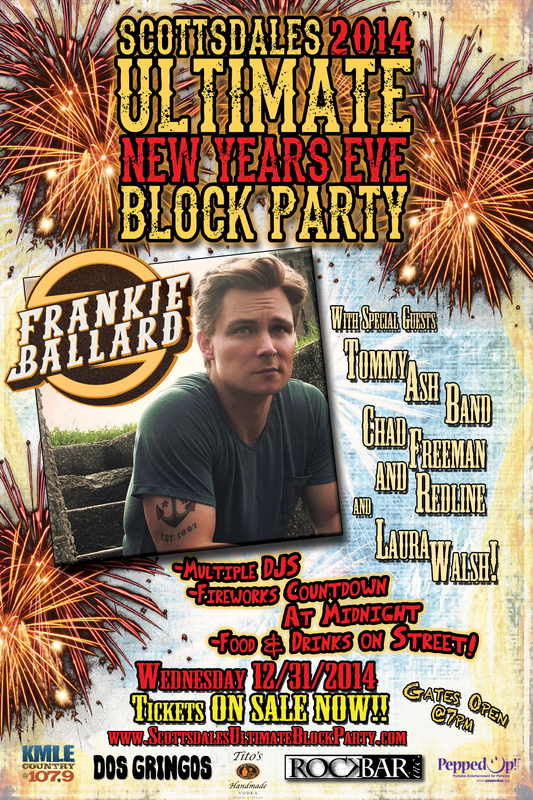 This years headliner for our New Year’s Street Festival will be Frankie Ballard, with Tommy Ash, Chad Freeman and Redline, and Laura Walsh! In addition to musical entertainment we will have a Full Fireworks display at midnight, full access to street, and full access to Dos Gringos and Rockbar Inc. DJ’s will be on the one’s and two’s inside both locations, and of course you can rock freely on the street between both locations with cup in hand! We ask everyone to party responsibly and please find a safe ride home! Within a one mile radius you can find a plethora of hotels to accommodate a safe stay after a New Year’s Eve night of partying! This years block party will be benefiting the wonderful organization PeppedUp! Check the links below for all show sponsors! Click the ticket link to get discounted tickets now, don’t wait!